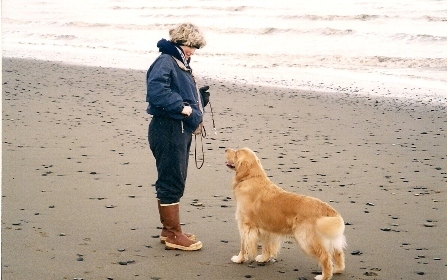 Our Alaska beach where we like to spend our time together. 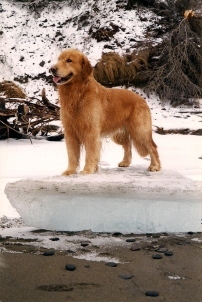 Cody loves the water winter, or summer. 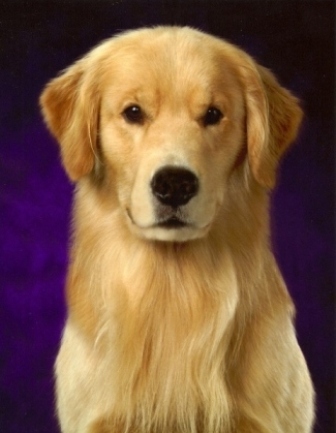 When dogs go to heaven they get to run and run and run. 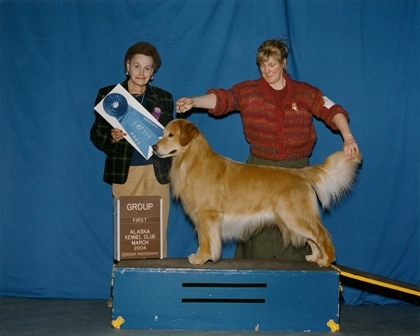 Cody won his class at the 04 National-not unusual for him. High Combined. We held the contact just a little too long. I see it, I see it, I'm on it. YOU KNOW WHEN YOU STAY TO THE END THAT IT'S A GOOD THING. 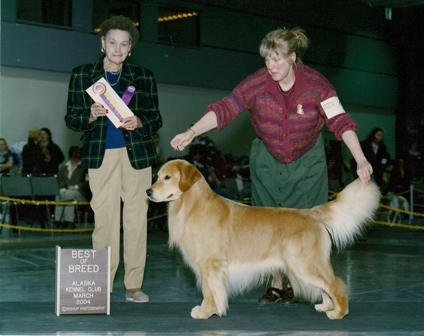 In 2007, Cody was the only AKC Golden Retriever Champion of Record to earn the title VCD2. He does it all and he loves what he does. 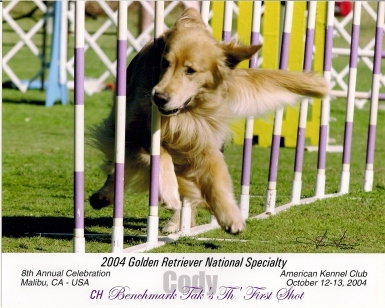 Cody's real passion is the sport of dog agility. 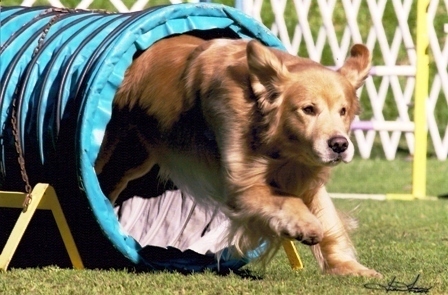 At 9.5, he has retired, but I know that in his heart he is still running. 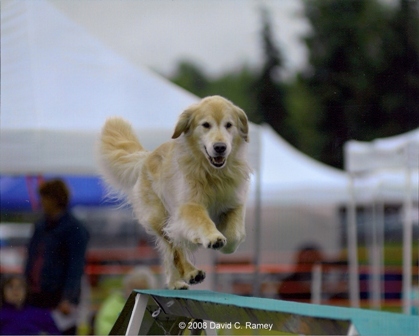 I have a start line saying that keeps me calm, "Listen to your heartbeat and dance." I found this on the inside of a Dove chocolate wrapper. 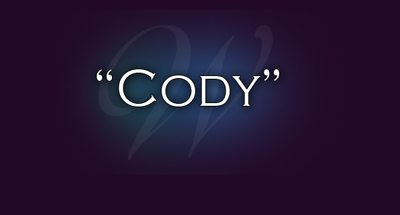 Cody is the best dance partner, so when they say "GO" - I say "Let's DANCE!" and it begins. 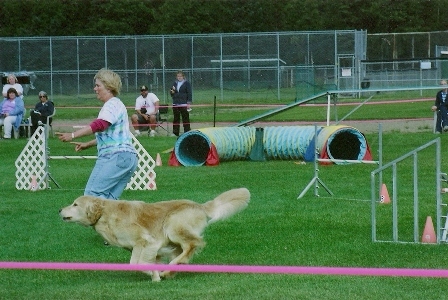 On a tight course Cody can average between 3 - 4 yards per second. 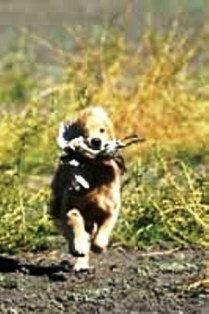 And on a wide open course he averages between 4 - 5 yards per second!